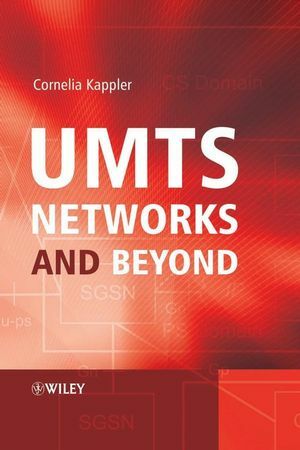 UMTS Networks and Beyond offers a comprehensive introduction to the networking aspects of UMTS and the networks coming after UMTS. The book is unique in that it systematically compares how a particular problem, e.g. obtaining connectivity, is solved in UMTS and how the same problem is solved in a Computer Network such as the Internet. It also highlights why the respective solutions are so different. The first part of the book provides a detailed technical discussion of UMTS, including original vision, architecture, protocol stacks and overall functionality. It places UMTS in the context of its evolution of from GSM and its convergence with Computer Networks. The second part of the book discusses today’s vision of 4G, and introduces upcoming networking technologies. Emphasis is on LTE / SAE as successor of UMTS; UMB, WiMAX and NGN are also discussed. The book gives an overview of what these technologies are likely to offer, of their architectures, protocols and functionality. It also discusses their differences and similarities, and whether they will qualify as 4G. This comprehensive textbook is essential reading for advanced students and lecturers in communications systems and networking. It is also of interest to engineers and researchers in the field of UMTS and communications systems. Cornelia Kappler is Senior Researcher and Project Manager for Future Mobile Networks at Siemens Communications, Germany. Cornelia is an expert on UMTS, IP and 4G Networks. She is also Work Packages leader in the Ambient Networks project and an active contributor in the NSIS working group of the IETF. Cornelia has been giving university lectures on UMTS and future mobile systems since 2002, and now teaches courses on UMTS networks at the Technical University of Berlin and at the University of Tübingen, Germany.